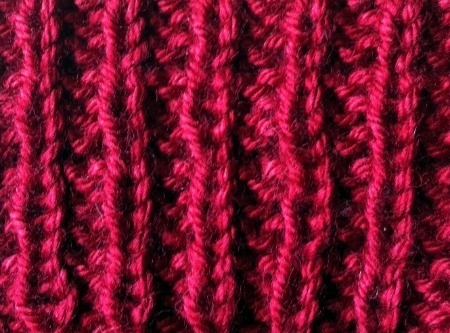 Waffle Stitch is a lovely stitch. This is a 4 row repeat using only knit and purl stitches, so if you are new to knitting, will give you a chance to practice both stitches. Don't forget to look at the back of your knitting. What is deemed as the 'wrong' side may be just as nice as the 'right' side of the fabric. 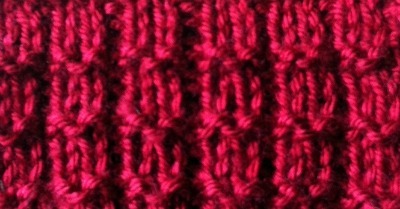 For instance, the back of Waffle Stitch looks like Knit 1, Purl 3 ribbing. While it really isn't technically ribbing, it still looks pretty!